During the 26th Division’s organization in August of 1917, First Sergeant Sam Avery was moved from the old 8th Massachusetts Infantry (National Guard) in which he had served for the past 5 years. 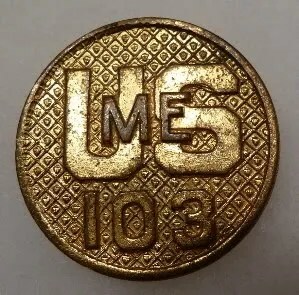 While most of the men from the “Dashing 8th” were assigned to the new 104th Infantry Regiment, Sam was issued a new serial number (#69762) and assigned to Headquarters Company of the 103rd Infantry Regiment under the command of Col. Frank M. Hume. The 103rd Regiment was primarily composed of National Guard troops from the 2nd Maine Infantry and the 1st New Hampshire Infantry. Additional troops from Massachusetts were included from detachments of the old 6th and 8th Mass. Infantry following their arrival at Camp Bartlett from Lynnfield (the majority of Massachusetts troops were organized into the 104th Regiment). When painted helmet markings became widely adopted in the AEF to help identify different organizations, the 26th Division was the only one to select distinctly different insignia for each component unit. The helmet mark chosen for the 103rd Infantry was a green pine tree on a white diamond in honor of Maine, “The Pine Tree State.” This heraldry clearly represe nted the Northern New England contingent of the “Yankee” Division, combining the Maine state military crest with the YD diamond insignia on a white field (for infantry). 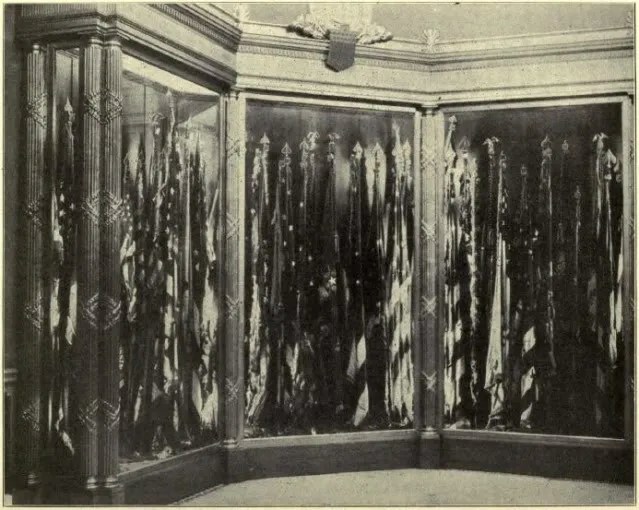 [Today the “Colors” of the 103rd Infantry can be viewed at the Hall of Flags in the Maine State House]. In his writings, Sam affectionately refers to the men of his new unit as a bunch of hayseeds from the sticks of New England’s North Country (or “God’s Country”), rather than sophisticates from the Big City: Many were lumberjacks, fishermen or farmers accustomed to honest, hard work and the rugged individualism of country life. Parting from his brothers-in-arms of the “Old 8th” was a bitter thing for Sam to endure, even costing him a temporary reduction in grade for 10 days when he and other Sergeants refused to be separated from their Captain (Carl H. Tobey). But Sam soldiered on, for it was just one of many sacrifices made for Readiness. 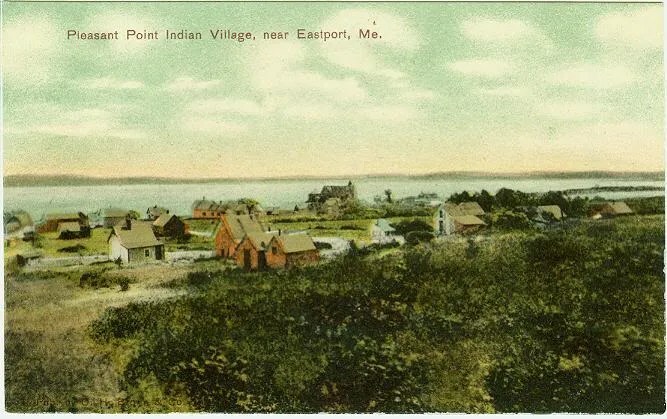 The 103rd Infantry never lost a prisoner while holding a defensive sector, and also was the only New England organization with full-blooded Indians in its ranks: A squad of men from the Passamaquoddy tribe of Pleasant Point Village in Maine, every one of whom proved to be a true warrior either killed or wounded in action. The 52nd Infantry Brigade never lost ground on either the offensive or defensive. Rather, it was said to have turned No Man’s Land into “Yankee Land” because its patrols successfully penetrated the enemy lines wherever it was deployed. During the war, the 52nd Brigade captured 1,500 prisoners and took 30 kilometers of enemy-held territory. Total Brigade casualties numbered 5,000. 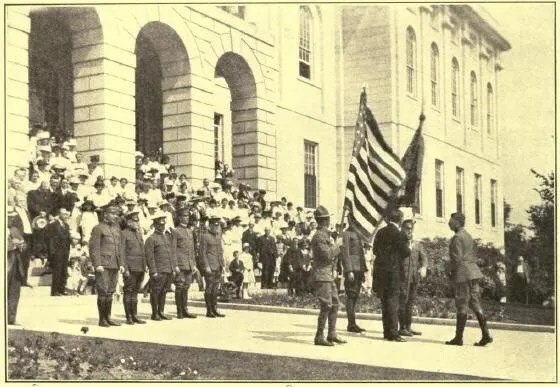 Following the return and mass discharge of troops from the 26th Division in late April of 1919, command of the 103rd Infantry was transferred back to the Maine National Guard under its new regimental designation. The 103rd Infantry Regiment’s distinctive unit insignia (DUI or Crest) pictured at the top of the page was originally approved on July 14, 1924. The shield’s background is white for Infantry, the blue saltire represents Northern Civil War service (as the 2nd Maine Infantry), and the 8 fleurs-de-lis symbolize the campaign participation of the 26th “Yankee” Division during the Great War in France. Read the History of the 103rd Infantry by Col. Frank Hume here. This is very interesting. I am busy transcribing my grandfather’s war diary. He was in the 101 Regiment US Eng American Expedition Force and I can almost go page for page with your letters. His name was Elliot Richards of Masachusetts.I will finish reading the letters you have and my grandfathers. Thanks for a great website. I should mention that I don’t believe it was a practice to paint the helmets while in France, and especially during combat conditions. These insignia would have been painted on after the Armistice, perhaps in France but more probably back in the US. 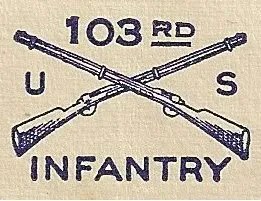 I came across your site when I was looking for more information about the 103 Infantry. My Grandfather is listed here as Corporal S.F. Sullivan for Samuel Francis Sullivan. According to the official 103rd Regimental History by Col. Frank Hume (which is generously on loan to me by Shawn Pease), Samuel F. Sullivan #69893 became the Mess Sergeant for Headquarters Company (he is listed as such on the 1919 Camp Devens Roster). This would have clearly made him one of the more popular Sergeants in the Company, and I am quite sure that he and Sam must have known each other and gotten along well. Please continue to visit and explore the site as there is much information which you will enjoy. Both Sams were in the same place at the same time and very probably had similar experiences. Keep reading as there is much more to come! Welcome! Please explore the site as there is much to learn about what your grandfather must certainly have experienced as part of the 103rd Infantry. 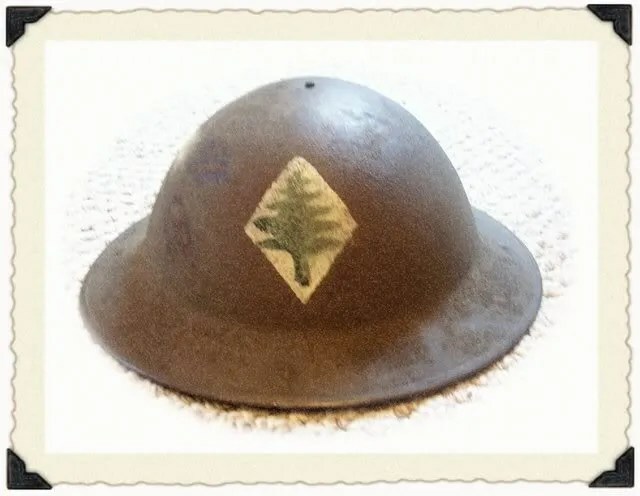 I have a WW1 Helmet that I believe to be american and it has a pine tree painted on the front barely visible and on the side are what I believe to be initials. 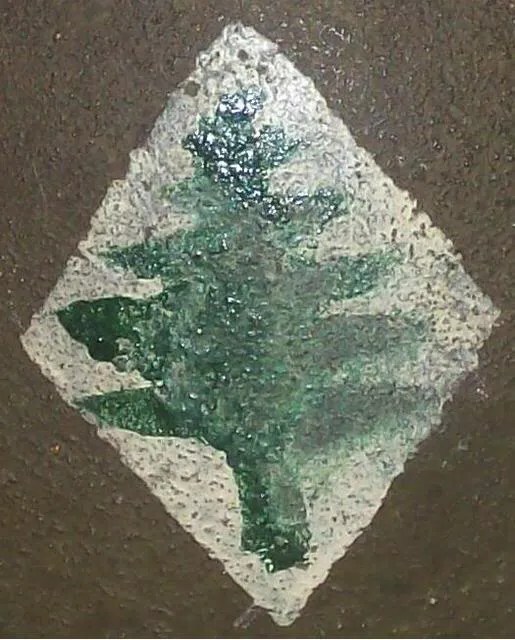 I am not sure if it is of the 91st american division because it does not have the white 91 on the tree its just a pine tree and nothing else. Thanks for your question. My first question is whether the pine tree is superimposed on a white diamond or not. If it is, then it was from the 103rd Infantry, 26th Division. Otherwise, not sure without possibly seeing a picture of it. If you have one, please send it along. I can refer you to two books by Chris Arnold which may give you more information: Steel Pots Vol. 1 and Painted Steel: Steel Pots Vol. 2.
do you know of anyone in the 103d division with the last name Blank he was in the 103d infantry division and his name was Victor Blank? 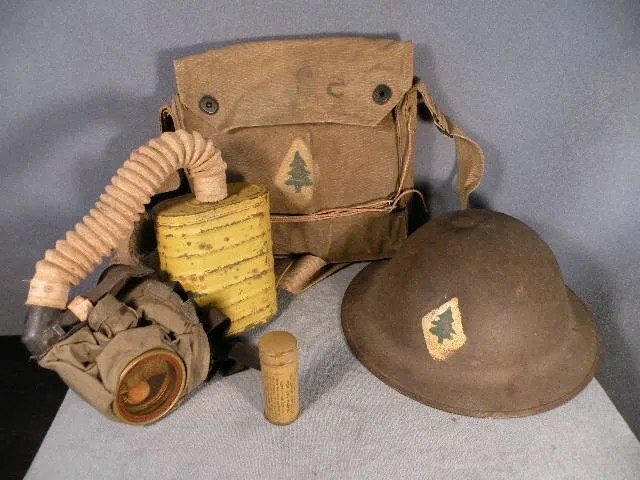 I have roster information for the 103rd Infantry Regiment of the 26th Division during World War I but not the 103rd Infantry “Cactus” Division which was formed in 1942 and fought in the European Theater during World War II as part of the Seventh Army. Just on the chance you meant the 103rd Regiment I checked the rosters and do not have a Victor Blank listed in 1919 at Camp Devens, although that only means that at the time of the 26th Division’s demobilization he was not among the rank and file. You actually should find information about the 103rd Division more easily since unit histories during World War II were much more thoroughly documented. Hope this helps and Good Luck! Die Division kam Mai 1945 über Garmisch, Zirl nach Innsbruck. The 103rd “Cactus Division” was formed in 1942 and operated in the European Theater during World War II including the Battle of the Bulge. That was a different unit from the 103rd Infantry Regiment which is honored here and was part of the 26th “Yankee” Division. How interesting! I am sure that the F.M. Hume was indeed Frank M. Hume who later became commander of the 103rd U.S. Infantry. Previous to that he was an officer with the 2nd Maine Infantry (National Guard) and would certainly have studied Infantry tactics. I’m not sure what the value of the work would be, but you might consider consulting with an antique book dealer. You could offer it on EBay, and also the Maine military archives in Augusta, ME might be interested in it. 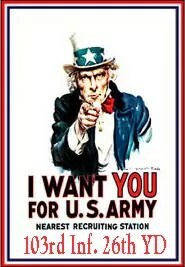 I’m helping a elderly gentleman from my church here in Rhode Island find out more information about his father who served in H Co., 103rd Infantry, 26th Div. His father’s name was Pvt. Eudora Lacroix. I have a copy of his discharge certificate which indicates his discharge was based on demobilization orders, dated 4/28/1919 (Camp Devens). Can you confirm for me wether or not you have him listed on any rosters you may have in your possesion? I’ve found some limited cursory information regarding 26th Division, and 52nd Brigade level actions in France, but I’d love to get a look at that 103rd History you referenced by Col. Hume. Any advice to steer me toward Regimental or Company histories of the 103rd.Inf. would be greatly appreciated. Private Eudora Lacroix #2941194 is indeed listed on the H Company Roster prior to discharge at Camp Devens in April, 1919. Based on his serial number, he was probably drafted and then assigned to the 26th Division as a replacement sometime during the war. Your Discharge Certificate should also have information regarding which campaigns he participated in. You can then refer to those Pages on Soldier’s Mail that will give you further information on the situation Pvt. Lacroix was in. On the Bibliography Page you will find a wide range of resources on the 26th Division during World War I. Most of them are contemporary histories which were written right after the Great War, so they have an interesting and highly detailed perspective. The only Regimental history I have found on the 103rd is that by Frank Hume. Each Regiment produced an “official” history immediately following the War and this is the one for the 103rd. It’s pretty detailed, and taken with the other resources in the Bibliography it gives a pretty complete understanding of what the 103rd experienced. I’ve tried to pull it all together here on the site as a definitive on-line resource. Hume’s book is long out of print, but you might find it with the assistance of your public library or else on-line for purchase through an antique bookseller. I am familiar with the sites you refer to that offer general giftware with the 103rd infantry DUI. I also have not found a site where one can procure the insignia itself. 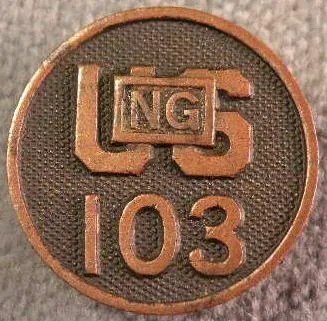 As the 103rd has passed into history and is no longer an active unit, I don’t think you will find the DUI on any site offering current U.S. military insignia. Your best bet is probably to check auction sites or antique militaria sites to see if you can find it. I’m looking for any available information on my great-grandfather, Charles Paul Craig, #68100 from Maine, who served in Co. F., 103 Inf. I believe he received a purple heart in combat in France, but I have no definite information except his dog tag. First of all, thank you for your service! Since you have your great-grandfather’s ID #, I would start by obtaining any service record information through the Maine National Guard or the Maine Historical Society. Both should be able to help you since based on his ID # I think he was in the National Guard (2nd Maine Inf.) 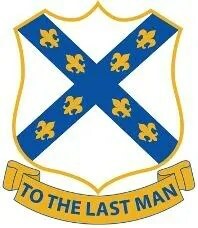 before it was integrated into the 26th Division. Any service record info will probably be very basic and simply identify his induction and discharge dates along with any dates/changes in grade, sector deployments and wounds/hospitalizations. 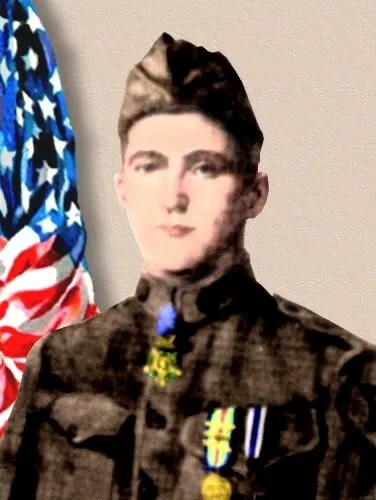 If he was wounded by direct enemy fire, he would have received a Wound Chevron rather than the Purple Heart which was not awarded until later. The site will take you on an adventure to learn when and where Charles was and what he experienced. Keep Reading! Hi – I’m hoping to find some info regarding my uncle, Morris (or Maurice) Keenan. My Grandmother’s obituary (she died in February 1919) mentions her son, Corporal Morris J Keenan, Co. D, 103d Regiment, now in France. I know he was in the Yankee Division, and was wounded by mustard gas. He did eventually return to home in Massachusetts, and died in the Soldiers and Sailors home in Chelsea, MA in 1945. Don’t have anything else, and all his immediate survivors are passed. Thanks for any suggestions. I’m searching for info on my grandfather, Samuel Fields Pendleton (born Islesboro ME, died Portsmouth NH,) served in Co K, 103rd Infantry. Samuel Fields Pendleton, inducted 2 October 1917; served in Co K, 103rd Infantry. Overseas 23 February 1918 to 22 September 1919. Hon. Discharged 27 September 1919. Didn’t see him on the Yankee Division WWI listing, although his service dates seem to fit. Thanks for this great Web site! My Great Great Grandfather (Bert P Hougland) was awarded four Silver Stars for his role in the Champagne Marne Defensive, The Aisne/Marne Offensive, The Oise/Aisne Offensive and the Meuse/Argonne Offensive. Evidently he was a attached to the 103rd and all I’ve been able to find out was a Major Potts and a 2nd Lieutenant L.C. Delaney. He died from complications from mustard gas burning his lungs and is now buried in the Veterans Cemetery at Fort Lyons, CO. Thanks for the website, without it their legacy would be lost!!! In his trunk there are alot of pictures of captured german tanks, the trenches, a German howitzer, The Boche Air Raid and the surrender of the German fleet!! Also his helmet and even a crystal radio! So I am continuing my research. First of all, I would like to thank you for having created this amazing on-line resource. What a treasure! I stumbled on it earlier today, as I am researching a small group of eight Passamaquoddy Indians, Privates who joined I Company and fought in France in 1918. These young tribesmen were recruited from their reservations at Pleasant Point and Indian Township in Washington County, Maine. Their names are Samuel J. Dana, Peter L. Lewey, Charles Lola, Moses W. Neptune, John A. Newell, David F. Sapiel (also spelled in records as David T. Sopiel), Henry Sockbeson, Peter Stanley, and George L. Stevens. At the Battle of Xivray-et-Marvoisin on 16 June, three of them were among the casualties, including one KIA. That was 23-year old Lola, who was posthumously honored for heroism with a French Croix de Guerre. During the Aisne-Marne, or Chateau Thierry offensive, another Passamaquoddy was wounded, and on 10 November, one was wounded and another KIA. The tribesman who died on that final day of the “Great War” was a son of Passamaquoddy tribal chief William Neptune. I am writing this article with Passamaquoddy tribal historian Donald Soctomah, who also serves as his tribe’s representative in the maine State legislature. If there are any references to any of these eight Passamaquoddy in letters or other records, we’d much welcome hearing from you. I stumbled upon this website looking for information on the 103rd Infantry (1st Infantry NH NG) who fought during WWI. I’m doing genealogy on my mother’s side of the family and she had an Uncle who was a WWI veteran. Would you have any info on a Hector Victor Sevigny from Co I of the 103rd. From the NH Adjutant General’s office, he fought in Champagne-Marne, Aisne-Marne, St Mihiel, and the Defensive Sector. He served from June 25, 1917 till his discharge April 28, 1919. He was wounded on Oct 10, 1918 in the Defensive Sector. Any info would be greatly appreciated. He was mustard-gassed at one point and hospitalized, but managed to be in the front-line trenches for the Armistice and some fraternization with the Germans. He also told me of pulling a French aviator out of his crashed airplane, and of how he, with a buddy, accepted the surrender of fourteen Germans who had come toward the American lines with the intent of opting out of the war. Can anyone tell me where Co. E, 103d Inf. was on July 17, 1918 (and perhaps what they were doing)? How can I obtain service records of a WWI soldier who died on that date? My grandfather had his eye machine gunned out in Verdun, France on Oct 2nd 1918. He recieved a wound chevron and a silver star lapel pin. He was in the 26th Inf. Company D. He also fought at St. Mihiel, Meuse-Argonne, and in the Defensive Sector. He left military service from Fort Devens, Mass. in 1919. His Dog Tag # is 1691404. We are awaiting a Purple Heart for his service, but would like to also find as much info. about him as possible. We cannot find his name on any rosters other than Selective Service and vocational training he was given. His Name is Private John E. Steiner. Any information would be appreciated as we are planning a family reunion at his grave site. Thank you! I’m currently trying to do some research on Norman R. Whytock, who was a 2nd Lieutenant in the 103rd. We know he was injured in the Battle of St. Mihiel and had received both the Purple Heart and Silver Star in the 1930’s shortly before he passed away. However, I would really like to find out precisely what he did to warrant a Silver Star and what his injuries were. Would anyone have any ideas where I could find this information? Thanks in advance!! The DUI for the 103rd still exisits. The 103rd became the 20th armor which became the 133rd Engr Bn of the MEARNG. Check out my related blog – including an awesome 103rd Infantry Regiment poem! I have been looking for a great uncle of mine, who I just found out was in the 103rd after being drafted in June 1917. I’ve been told he survived a gas attack, but died several years later due to pneumonia. His name was John Edward “Jack” Blythe. Any info would be appreciated. 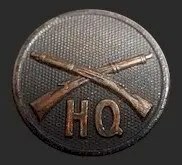 I have an identical infantry badge as pictured immediately above the roster, with one exception: instead of HQ, mine has a capital “D”. What does the D signify? The “D” means Co. D which was a rifle company within the Regiment. Lieut. Whytock is listed in the roster of officers for Company L, ( http://103rd.newspipers.com/page40.html ) with a picture of him on page 48, and a picture of his company on page 65. Currently, you will have to read the online scans of the text to find out more about the battle he was wounded in. At some time in the future, I will be scanning in each photo at a higher resolution. Thank you for posting the link to the history! I’ve been trying to acquire a copy for my research into John E Blythe, Pvt, L Company. My great grandfather(Winford Smith) served in France with “L” company, 103rd Inf. I have his ID disc. I have been trying to find information about his company. Any ideas were I could look? Thanks for any help. I am looking for info on george libby who served with 103rd in 1917, I believe he was from the state of maine. One of my relatives James Clattenburg of the 103rd Infantry was discharged from Camp Devons April 28 1919. James was in battles: June 16 1918, Belleveau Woods July18-25 1918, St Mihiel Sept 12-14 1918, Meuse Argonnee Oct 24-Nov 11 1918. Fantastic site! I finally have some direction and information about what my Grandfather went through. As most soldiers, he didn’t speak much about his time in the YD. Any help or direction that you can give me would be splendid. His name was John Francis Sullivan, Serial #68139.I don’t have his rank but he is listed as a Cook. Company F, 103rd Infantry. He voluntered at age 22. Born in Cambridge, Mass. He was wounded according to his enlistment record at Chateau Thierry July 18, 1918. His company commander at time of disharge was H.W. Frothingham (sp) Capt,Co F. I am trying to find out any citations, awards, medals he may have gotten. St. Louis has no information due to a fire back years ago. This is a Family project that I and my Sons have started due to my retirement and the passing of John and my Father Walt also USA Korea. Thanks and keep up the great work! Sincerely, Dan Sullivan Sgt, USA (ret) A co. 1/126th Aviation Battalion. My Grandfather, Private Elmer H. Lindie, was awarded the Distinguished Service Cross for heroism in action with Company F, 103rd Infantry Reg. on 12 September 1918 near Boise-de-St. Remy France. As an Army veteran myself, I am very proud of the heritage of our forefathers and the gallantry of the men of the 103rd. I’m trying to find out info about my grandfather, Michael DiPesa who served with the Yankee division and was wounded in France. Our local library had a complete history/roster of the 26th but it was stolen. Can you provide any info? Trying to help, I looked up the men of the 103rd and could not find Michael’s name. Do you have any additional information which could be invaluable? A Division is 10,000 – 15,000 men. Without further information than a Division, it will be incredibly difficult to offer any assistance. Thanks for your attempt to look up my grandfather. I’m going to try to access some of my father’s records to see if there’s additional info pertaining to my grandfather. I will send whatever I find along to you and again, thank you. My husband’s great granfather (Dambroise) served in the 103rd Infantry Regiment I believe. We have a beautiful picture of him in his uniform along with his World War I helmet with the white triangle and pine tree. I’m very excited to have found this website. The family knew little about the helmet and i am excited to share this with them. Hi. I’m looking for information about my great grandfather Alfred Wallace Roberts. On his headstone application for military veterans it states he was a private, Co. L, 103rd Infantry, U.S. Army. Then has 26 Div. in handwriting next to it. His enlistment dates are 5-28-17 to 4-28-19. He was from Massachusetts and his service number is #69476. Is this the right infantry, because he is not listed above. Any information you may have will be useful. Thanks in advance. Miranda – Your information is correct. You can view a copy of the regiment history here: http://103rd.newspipers.com/. Your great grandfather served in the same company as my great uncle John Edward Blythe. Thanks for your quick reply and the information above. It is very exciting to learn more about my great grandfather and his time serving in the military during WWI. Good luck to you in your family research. You’ve made mine much easier! Thanks. I’m trying to find out more about Ivan Edward Bicknell, who was stationed in France with the 26th division of the 103rd regiment. According to the few records I’ve found, he died in an accident on October 14, 1918 in France. It’s also possible he received the silver star for actions on July 18, 1918 in Belleau, France. I’m looking for any information you may have on a Corp. Herbert R. Bean from D Co., 103d INF. I have a letter written by him to my wife’s grandmother, dated 25 April 1918. I looked at the rosters in Hume’s book, but did not see his name (anywhere). I’m trying to find any information about this young Soldier (Bean) so I can tell me mother-in-law about him. Thanks in advance. Try Ancestry.com. I found a lot their. Plus, when I googled my greatgrandfathers company, i located a company photo roster with him in it. Good luck! Good stuff. Looking for more info on my grandfather, Charles J. Merrill, a bugler in the Machine Gun Company, 103rd Inf, from Franklin, NH. Originally with the 1st NH National Guard before being merged with other units at Camp Barlett, MA in forming the 26 ID prior to WW1. Hi, I’m the historian for the Maine National Guard. Feel free to send along any questions regarding personnel from the 103rd Infantry in WWI and I will do my best to answer them. If you could find any details on John Edward “Jack” Blythe that would be great. 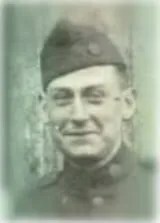 He joined the Army in Jun 1917 and trained with the 86th Infantry Division Blackhawks, Company F, Motor Section, 311 Supply Trains, Lt M. M. Western Commanding, Camp Grant, IL. He was then transferred at some point to Company L, 103rd Infantry Regiment, 26th Division, France. He was gassed by Germans, and died of pneumonia in 1922. Great stuff !My great Grandfather Eddie Carey was in H Company ,103rd Infantry ! Great article! I’m trying to find out more about my grandfather. I know he served in WWI and his discharge papers state the following: Private, Co. F 103rd Field Art’y. His real name was Sam Deo but his discharge papers say Sam Day. There was some confusion about his name, long story that never made a lot of sense. Anyway, when my grandfather was still alive, he never spoke much about the war except he was in France. Any help would be greatly appreciated. I’d love to find a picture of him with his company. Hi, If you could find any details about Harry L. Lowell that would be great. He served as 1st Lieutenant in the 104th infantry, Machine Gun Company.